You can't go wrong with classic black and white. 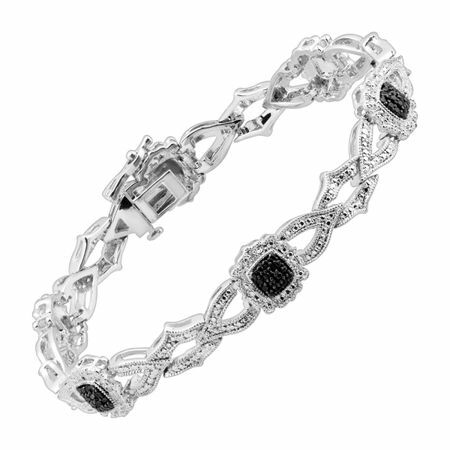 Stations of round-cut black diamonds are accented with round-cut white diamonds on an interlocking chain, crafted in sterling silver-plated brass. Piece measures 7 1/2 by 7/16 inches.